And Home Journal for Australia, India and the Colonies. London, England. Publisher: James Elliott & Co.. Editor: A.E. Waite. 1/1, January 1904. 32 pp. This was a magazine of general interest, primarily devoted to short fiction, whose aim was the promotion of Horlick's Malted Milk. 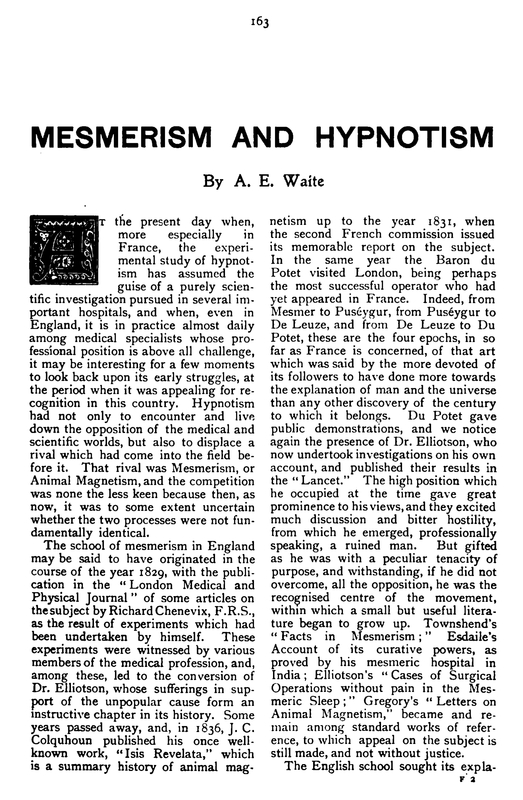 Its place here is justified by the fact that Arthur E. Waite was manager of Horlick's Food Company from 1900 to 1909 and editor of the journal, and assiduously added his own poetry and short occult pieces (including, notably, “By-Ways of Half a Century” and “Mesmerism and Hypnotism”) to the journal and solicited stories by the likes of Arthur Machen. NYPL; Yale University; Cornell University, etc.